With the dog days of summer comes effortless style that feels as cool as it looks. 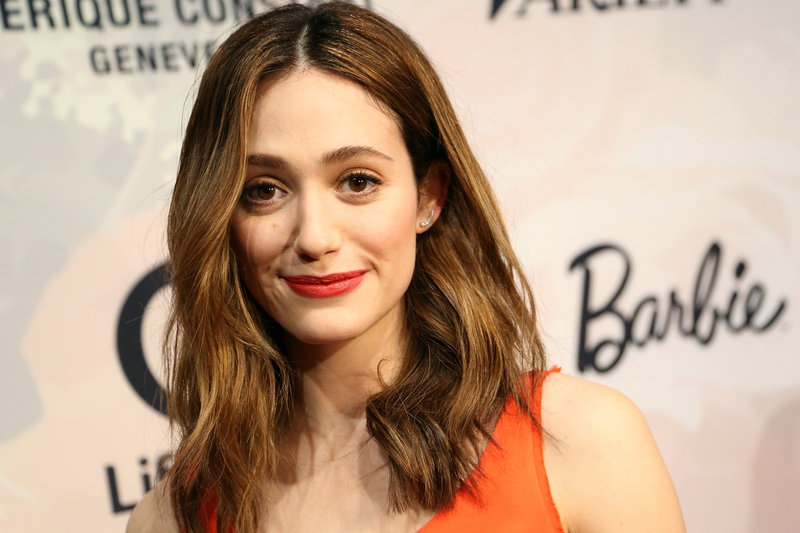 Emmy Rossum's haltered summer dress is the perfect way to beat the heat while still looking adorable. She's a master of easy, breezy outfits, and knows exactly how to keep a classy feel to every ensemble. With style tips from Rossum, you'll land the perfect look in no time. The star looked elegant and modern as she hit the streets of West Hollywood. Her white and navy A-line dress was the perfect mix of retro and adorable. With a haltered, shoulder-bearing bodice and its hem hitting just below the knee, Rossum showed just enough skin to beat the summer heat while remaining true to her sophisticated style. She had her hair pulled back in a casual ponytail, showing that she really is the queen of minimalist chic. But what really brought the look to life was her simple accessories. Rossum's added a little touch of bling with a gold wristwatch, but kept it basic with the rest of her all-white accessories. Her white oversized bag paired perfectly with her matching sandals, and she completed the look with a pair of statement, cat-eye sunnies. Who said you have to go all-out to get noticed? Lucky for us, Emmy's simple fashion can be replicated for any warm-weather occasion. Just slip on the perfect halter dress and add as much or as little as you'd like for winning outfit. To keep it effortless like Rossum, pick a few staple accessories and let the outfit speak for itself. 1. Start with a halter dress. For a look that works just as well for the office as your weekend BBQ, opt for a dress cut a little bit longer than usual. The halter cut adds an extra touch of flirtiness to a more conservative length. 2. Add a simple sandal. A simple sandal that won't draw too much attention away from the dress. These white, strappy numbers just might be my new go-tos. 3. Finish with an oversized bag. There's nothing better than a great tote in summer. Opt for a neutral color to make sure the accessory doesn't get in the way of a great outfit.